So, Cambodia time! Yay! I'm super excited to start blogging about our holiday. It was so much fun and it was literally one of the best holidays I've ever been on. 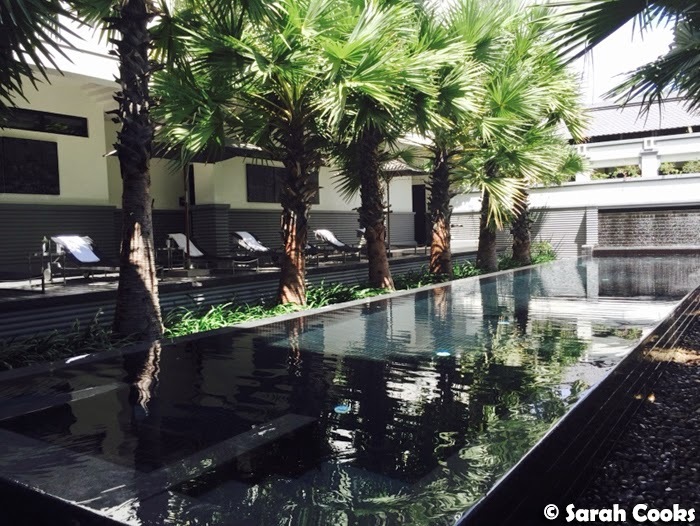 It was a bit of a spontaneous decision to visit Siem Reap - neither of us had been to Cambodia before - put simply, we felt like going on a holiday, had a bit of annual leave up our sleeves, and Air Asia was having a sale on flights. 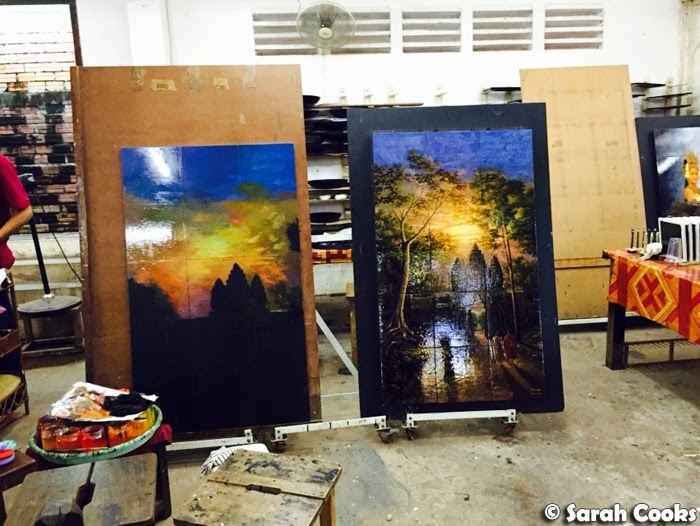 Siem Reap seemed to offer a good mix of culture, food and relaxation. To be honest, at first I was on the fence about going overseas at all... but after some googling I realised that you could get five hours of spa treatments for less than $200. I was in! 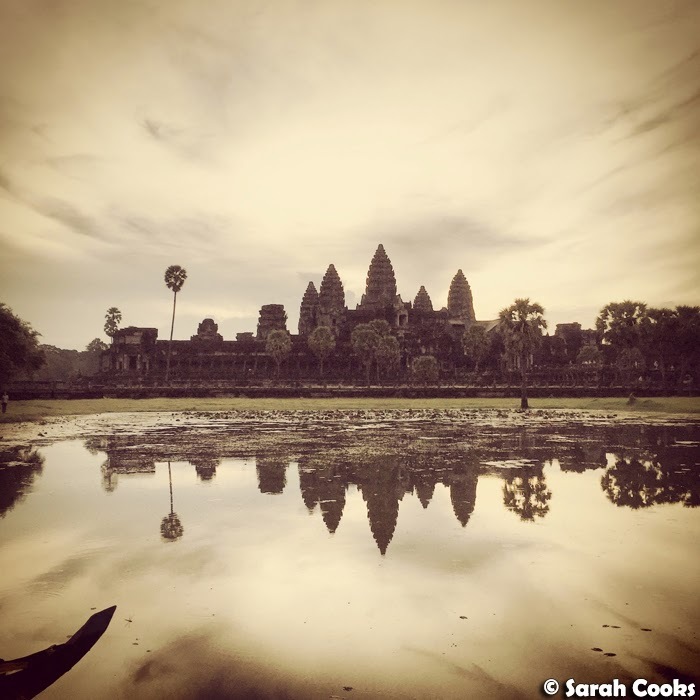 As the title of this post suggests, our holiday was made up of seven days in Siem Reap. Apparently most people stay for shorter periods of time and visit as part of a larger trip through Cambodia / South East Asia, but I'm really glad we decided to spend the whole holiday in the one spot - it gave us a chance to get to know the city and see lots of tourist sites without getting overwhelmed or exhausted. We stayed at Shinta Mani Club, which was centrally located in the French Quarter, and quite close to Pub Street and the Old Market. We totally loved the hotel! It was beautiful, the rooms were very comfortable, the in-house restaurant was very impressive (especially the breakfasts! ), and they had a fantastic spa. Most importantly, the service was amazing, really conscientious and thoughtful. Full post to come. 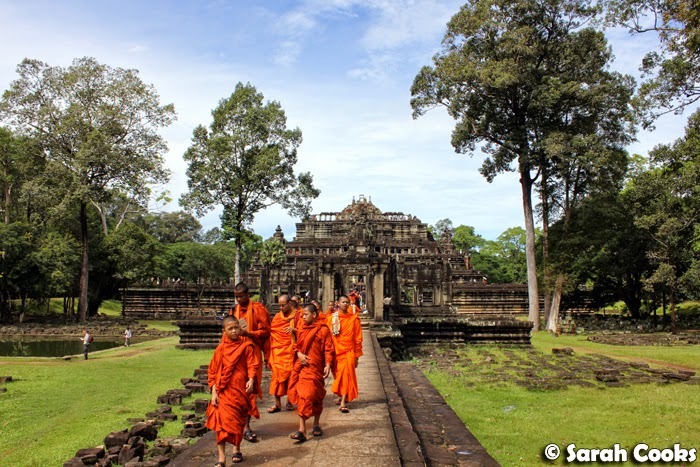 The main tourist attraction in Siem Reap is the collection of incredible ancient temples of Angkor. 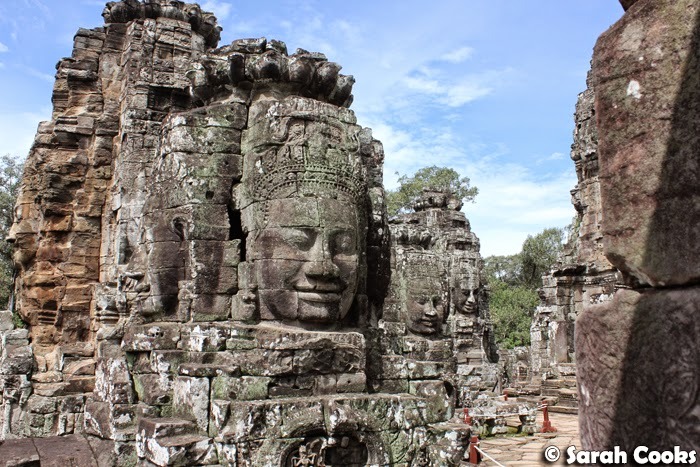 The Angkor Archaeological Park is considered one of the most significant sites in South East Asia, and contains the remains of the different temples of the Khmer Empire, built from the 9th to 15th centuries. We were very organised and planned out all the different temples we wanted to see prior to arriving... we devoted a solid two days to temple trekking and saw sixteen temples in that time, and visited two more on two separate days. Phew! Apparently visiting eighteen temples is quite a lot - according to our tour guide and the hotel staff, most people only see the major ones. Either way, I found the temple visits incredibly interesting and we took loads of photos - full blog post to come including temple travel tips! We were primarily interested in the temples, but there are, of course, other activities for tourists - we found it quite interesting to visit Artisans d'Angkor, a craft workshop whose aim is to preserve traditional Khmer arts and crafts whilst providing professional skills and training to communities with limited educational opportunities. 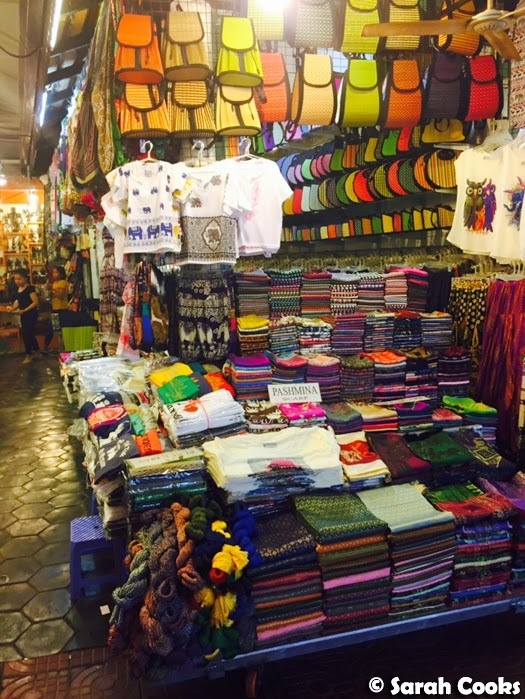 They offer guided tours through the craft and silk workshops (the tours are free but you can tip the guide if you like), and of course there is a large gift shop where you can purchase the crafts they make. They had lots of great stuff, but we didn't buy anything at the time because we were worried about suitcase weight, and then really regretted it. 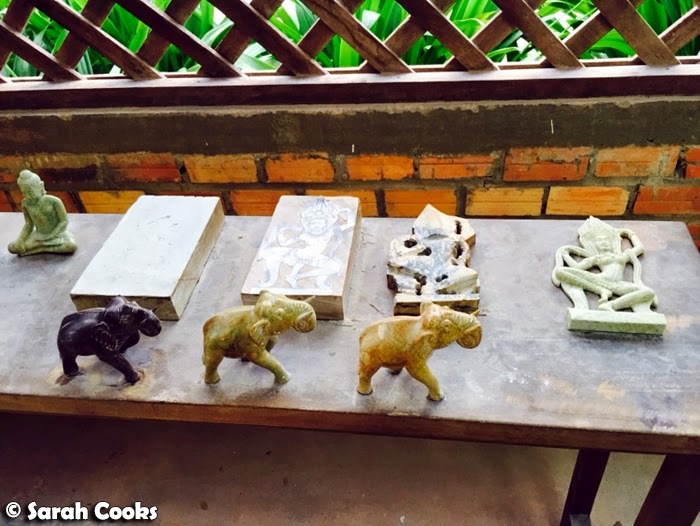 So when we flew out, we were thrilled to discover that they sell Artisans d'Angkor goods at Siem Reap airport, and we happily bought a stone Buddha to bring home. Yay! ...but there were also lots of stalls that were geared towards locals - fresh food, kitchenware, even hair salons! 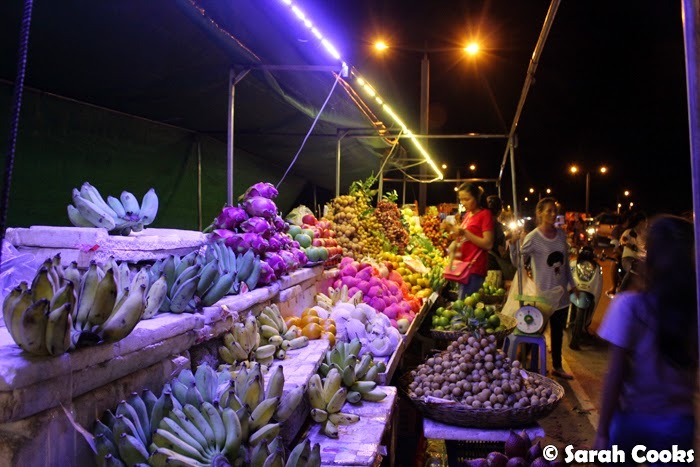 There were lots of nice restaurants in town, ranging from cheap and cheerful to slightly fancy, offering Khmer cuisine, barbecue, Western cuisine and more. 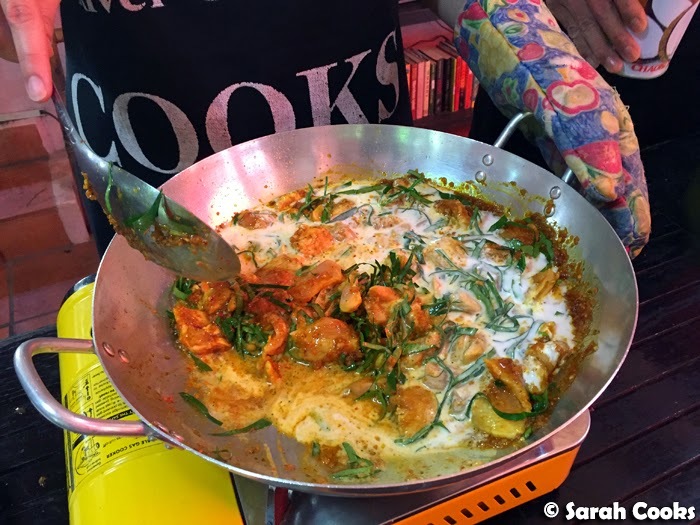 Khmer cuisine was pretty new to us, so we tried to eat it as often as possible. I'll write up a post with the different restaurants we visited, but one of the highlights was the Khmer tasting platter at Angkor Palm on Pithnou street. This included fresh spring rolls, papaya salad, green chicken curry, fish amok, morning glory stir-fried in chilli and barbecued pork ribs. So delicious! 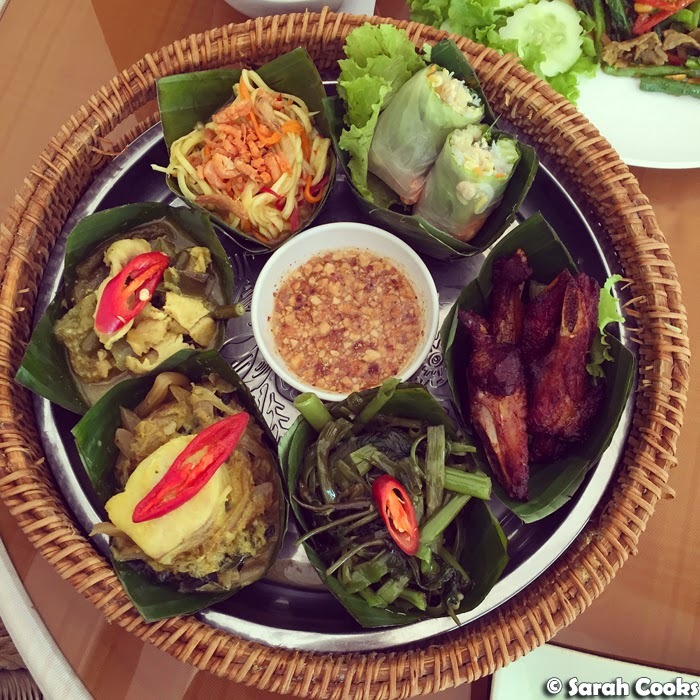 And, speaking of getting an insight into Khmer cuisine, we took a cooking class run by the River Garden Hotel: "Cooks in TukTuks". 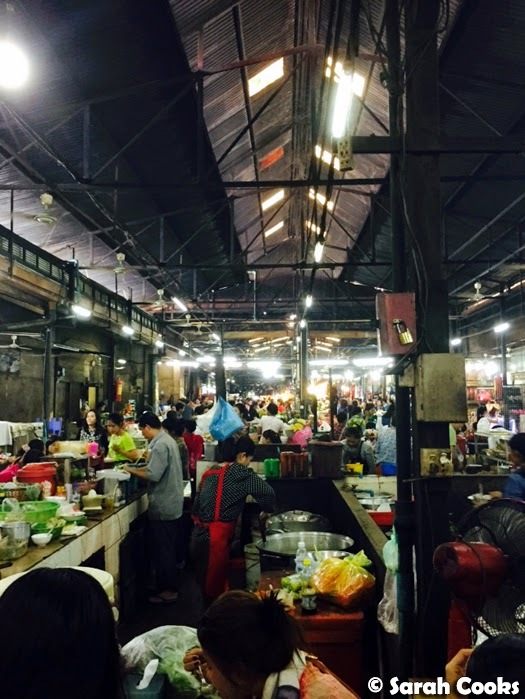 This included a visit to Psar Leu market (amazing), and then coming back to the hotel for an interactive cooking demonstration. We made banana flower salad, chicken amok, and a dessert, and got a little booklet of recipes to take home. Of course I'll be blogging the class in full! ...then went to 60 Road - a huge road lined with different food stalls on either side, picnic mats for hire and hundreds and hundreds of locals getting dinner and hanging out. It was so much fun, and I loved being able to get an insight into local life. 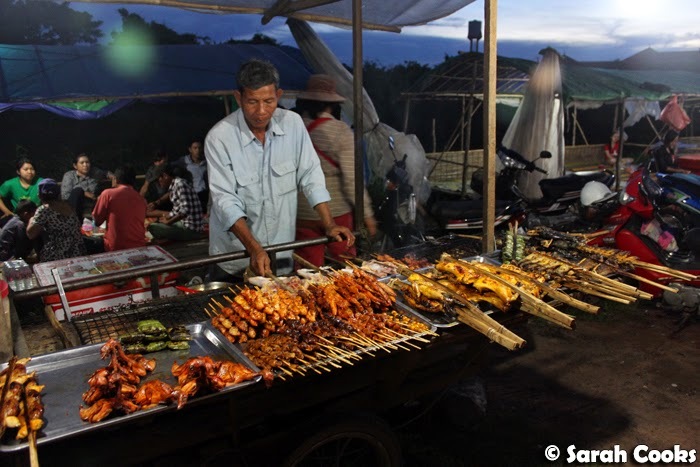 I was pretty adventurous too - I ate barbecued snake and two barbecued frogs. Rar! Can't wait to share more detail about the holiday in upcoming posts! N.B. these tips are all accurate to the best of my knowledge at the time of publishing this post. Make sure you visit SmartTraveller and / or the Cambodian Embassy website for the most up to date information! It is your responsibility to make sure you have the correct visa. If anyone has any tips they'd like to share that I've missed, please leave a comment! Cambodia uses a dual currency - US dollars and Cambodian riels. We only took USD with us and were fine. Try to bring small denominations as things are cheap and it's not always easy to get change. We found that hotels, shops, restaurants and the tourist stalls at the markets all took USD, and would give us change in riels for any amount less than a dollar. 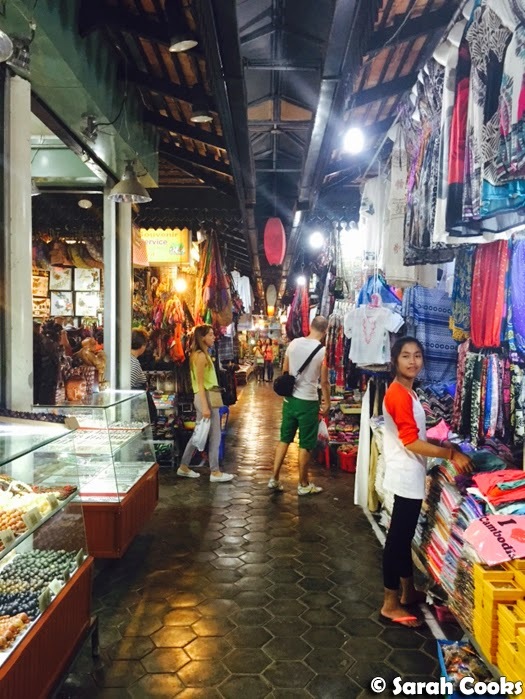 Market stalls and shops for locals (e.g. 60 Road) took riels. Australians need a visa for Cambodia - you can get one at Siem Reap airport, just bring some passport photos and some cash. (They were $35USD when I went; it's faster if you bring exact change). You fill in a little form at the airport and they give you a 30 day tourist visa. I'm told you can pre-book the visas online, but I don't know how reliable that process is. You can buy SIM cards at the airport after clearing customs; there are a range of kiosks selling plans from different providers. I bought a Metfone SIM for $4USD, which gave me a week of unlimited data. I found the 3G in Siem Reap to be faster and more reliable than in Melbourne, even in remote areas, and lots of cafes and restaurants in town offered free Wi-Fi. We were there in the last week of October, the end of the rainy season, and were pretty lucky with the weather - it only rained a little bit, in brief downpours. We brought raincoats but didn't need to use them. Most of the time it was hot, hot, hot. The price of our hotel room jumped by $100USD per night from 1 November onwards - so we saved $600USD by staying at the end of the rainy season. Yay! Further to the above point, Siem Reap is hot. Bring sunscreen and a hat. Wear them. I would suggest visiting the travel doctor before you go to make sure all your vaccinations are up to date and to see if you need any medication. On the advice of my doctor, I chose to take malaria medication (Doxylin). Friends who live there tell me that malaria has been pretty uncommon in Cambodia over the last five years, and Siem Reap is a particularly low-risk area. However, I don't get side effects from Doxylin and wanted to be able to visit the more remote temples deeper in the jungle without worrying. 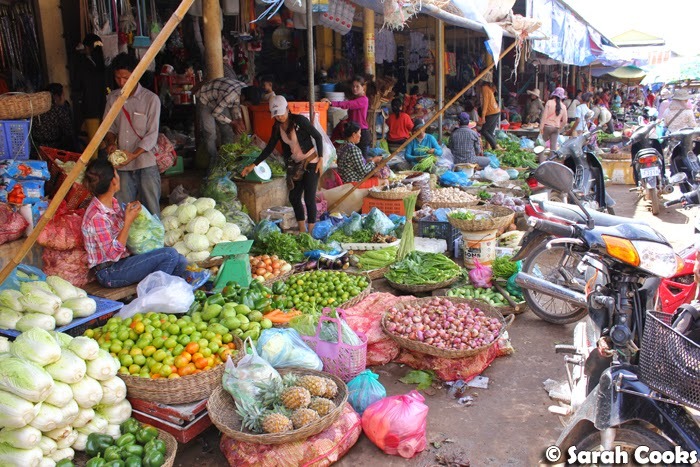 Dengue fever is still prevalent in Cambodia but there's not much you can do about that! We brought some pretty heavy duty insect repellant - Bushman's 40% DEET repellant and I didn't get a single mozzie bite - hooray. We travelled around Siem Reap and the temples mainly by tuk-tuk - a scooter with a cabin attached to the rear. We normally took tuk-tuks organised by our hotel, which were about $2USD for a one way trip into the city, but if you take independent tuk-tuks they should be cheaper. I've always wanted to visit! This post has really made me want to hop on a plane even more now! :D Hello food and spa treatments! this looks like such a great experience!! 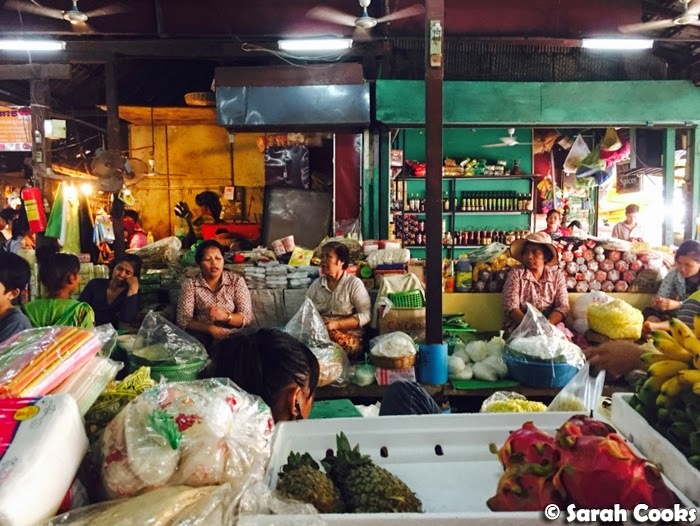 we'd love to travel more and visit markets like these! Wow wow. Would love to visit Cambodia one day. And I totally want that platter for one! Looks amazing! Wow, snake and frogs - that's definitely adventurous! 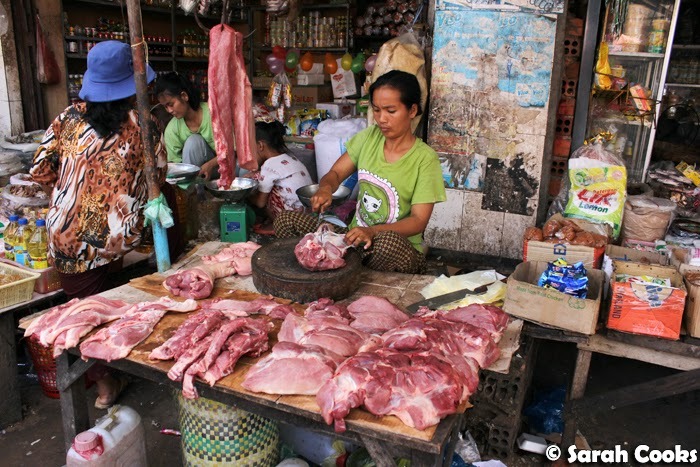 I'm pretty terrible in South East Asia - I don't cope well in humid conditions as I lose my appetite and energy. 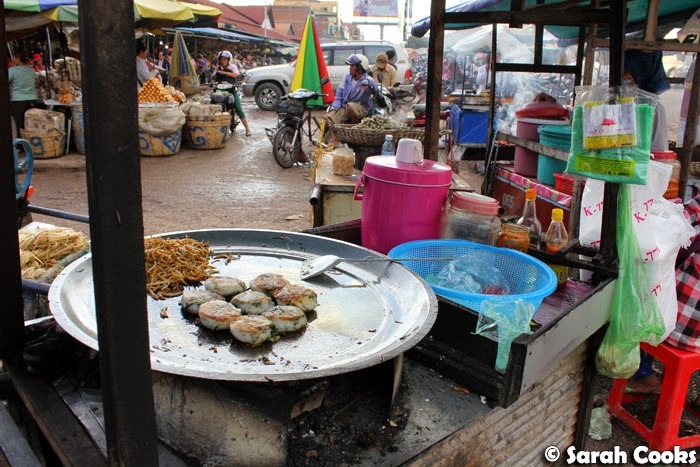 If I could get past that though, I feel like the street food in Siem Riep could definitely offer what I need!